Today’s fast-paced lifestyle has many of us scrambling to nourish our bodies with filling but healthy food that not only loads up our stomachs, but also our nutritional needs. However, the demands of the digital age has us opting more for fast food and disregarding the health consequences such as weight gain, vitamin deficiencies, and chronic illness. Aside from the food we eat, our go-to drinks also contribute to our health woes. High sugar content and empty calories add up even more to our already unhealthy meals. The good news is, there is a drink now out in the market that not only fills good and tastes great, it’s healthy too. Vitamilk soy milk is made from natural soy beans that are not only non-GMO, they are also inherently packed with protein and energy-giving minerals such as potassium, phosphorous, calcium, and even the B-vitamins. Taken alone or with a meal, Vitamilk is the perfect substitute for drinks that only fill you up but do not provide nourishment for the body. Available in convenience stores and supermarkets nationwide, you can choose from 300ml bottles to be consumed at home or with your meals, or in 250ml Tetra Pak boxes as baonfor kids and even busy employees who care about their health. Enjoy all the benefits of nature’s perfect protein in one convenient gulp, and in three delicious variants. The Regular is perfect for soy milk aficionados, Choco Shake for the chocoholics – your dessert and your drink in one, and Energy for on-the-go men and women who need an extra boost. So go ahead, indulge in arefreshment that fills so good, tastes great, and nourishes even better than ordinary drinks. Get your Vitamilk fix today. 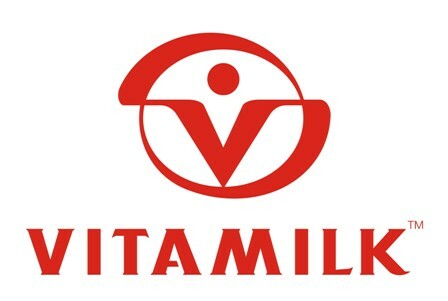 Vitamilk is the number one soy milk brand in the market, made from all-natural, non-GMO soybeans. It is available in three flavors, Regular, Choco Shake, and Energy, as well as in 300ml bottles and 250ml Tetra Paks. Vitamilk provides all the health benefits of soy, such as reduced heart disease risk, bone strength, and enhanced bodily functions in one convenient drink. Taken alone or with a meal, Vitamilk is the perfect substitute for drinks that only fill you up but do not provide nourishment for the body. Available in convenience stores and supermarkets nationwide, you can choose from 300ml bottles to be consumed at home or with your meals, or in 250ml Tetra Pak boxes as baon for kids and even busy employees who care about their health. So go ahead, indulge in a refreshment that fills so good, tastes great, and nourishes even better than ordinary drinks. Get your Vitamilk fix today.